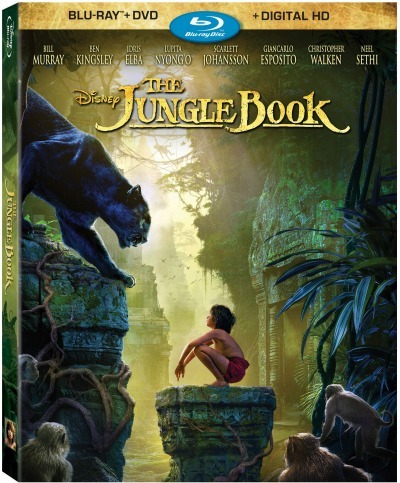 Stacy Tilton Reviews: Disney's The Jungle Book - Coming soon! Disney's The Jungle Book - Coming soon! Disney presents the live-action epic adventure The Jungle Book, directed by Jon Favreau (“Iron Man,” “Iron Man 2,” “Chef”) and produced by Favreau and Brigham Taylor (executive producer of “Pirates of the Caribbean: Dead Men Tell No Tales,” “Tomorrowland”). The Jungle Book is a live-action epic adventure based on Rudyard Kipling’s timeless stories, inspired by Disney’s classic 1967 animated film and centered on Mowgli (Neel Sethi), a man-cub who’s been raised by a family of wolves. But Mowgli finds he is no longer welcome in the jungle when fearsome tiger Shere Khan (voice of Idris Elba), who bears the scars of Man, promises to eliminate what he sees as a threat. Disney’s Groundbreaking, Live-Action Adventure arrives on Digital HD August 23 and on Blu-ray™ August 30. This is such a good family movie that we enjoyed seeing in the theater. This is a good movie to have in my collection!